I first met the wonderful Mary Hazard when she took blood out of my arm at my local GP’s surgery. She was brisk and business-like, but had a fantastic manner, a cracking sense of humour and a shock of white hair. What’s more it didn’t hurt a bit. She told me great stories in her fabulous Irish lilt, as she strapped on the tourniquet : “Well, the men come in here and ask ‘will it hurt’ and I say a little bit, and when I put the needle in, boom they’re on the floor. But the women say, ‘will it hurt’, and I say, ‘it’s a little prick’ and they giggle, so they do’.” Mary’s eyes twinkled and she laughed heartily at her riske joke. I was fascinated by her, and began to ask about her life. I found out she was far older than she looked, and indeed had come to the UK in 1952, in a wave of Irish nurses who came over to train after the Second World War. She started to regale me with amazing tales of life in cider-making Clonmell in Ireland, and her antics with a strict Mother, repressive Nuns and later, as a trainee nurse in post-War London. It was ‘Call the Midwife’ with a lot more welly and verve. I was soon asking Mary if she had ever thought of writing her own life-story, as her tales of Putney Hospital in the 1950’s were both hilarious and moving, especially as that institution has now hit the dust. 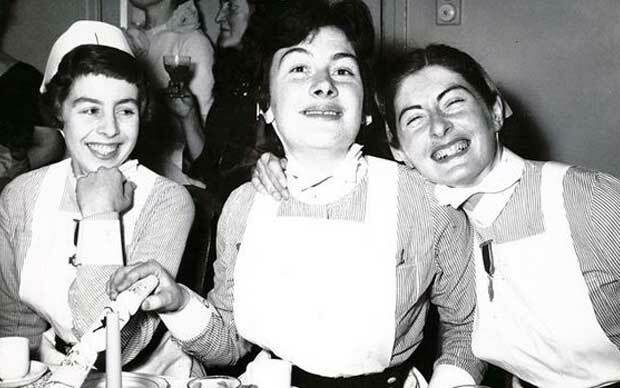 On a personal note, I had spent extensive times myself in Putney Hospital as a child, when I had two long bouts of pneumonia, and Mary and I even could recall certain Staff Nurses and Sisters together. I knew the layout of the hospital, and the uniforms, from my own memories, and soon Mary and I were plotting her book. I am proud to say that her life story is now a great read and a bestseller: Sixty Years a Nurse (Harper Collins) recalls her unstinting 62 years in the NHS. Her own life was no less dramatic, with many twists and turns. Mary worked until she was 79, and only retired, eventually, due to disliking yet another computer system. To the end in my local GP’s surgery, she remained a wonderfully humourous and caring health practitioner, who brought years of experience and passionate concern to her work.